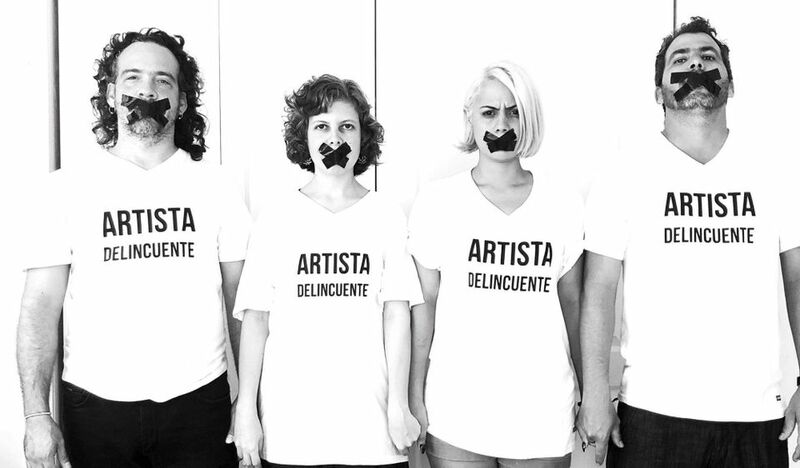 The growing movement of artists against Cuba's restrictive new law Decree 349 has issued a manifesto in Havana denouncing government censorship. The document, the San Isidro Manifesto, released on Wednesday (12 September) sets out principles defining a movement for artistic freedom in Cuba that has been gaining momentum since the law was published in July. The decree has met with opposition from journalists and cultural figures in Cuba and around the world and has become pivotal to an ongoing public debate about constitutional change. The law was among the first signed by the Cuban president, Miguel Díaz-Canel, who took office in April, and it is due to go into effect on 7 December. The 10-point manifesto states that the legal decree “legitimizes the use of legal action to punish free creation and determination as creators and individuals”. It demands free and independent creation in every sphere of society. “If the decree goes into effect, Cuban culture will be dead,” one of the signers of the manifesto, the artist Luis Manuel Otero Alcántara, said in a telephone interview. A major goal of the movement is to gather 10,000 signatures to bring the matter to a public debate as provided by the Cuban constitution. Opponents of the law have also pressed their campaign in formal letters to authorities and in artistic performances and other events. The manifesto is viewed as the next step in strengthening the vision and goals of the movement. The San Isidro Manifesto takes its name from a neighbourhood in Old Havana that serves as a hub of independent artistic activity, including the Cuban hip-hop community, which is also targeted by the decree. San Isidro has been the site of notable confrontations with the Cuban authorities. As an example, the manifesto cites the violent repression of a concert organised against the decree on 11 August that resulted in several injuries and arrests despite the participants “not raising a single finger in self-defence”. The event generated a “potentially explosive situation” when the majority of the neighbourhood’s inhabitants “took to the streets in defence of artists” and “protested the abuses committed by the police”, the manifesto says. “No cultural action should ever be cause for political repression and abuse of power,” it states. At the same time, the manifesto emphasizes that its campaigners are not seeking anarchy or confrontation, but rather dialogue and understanding. “We will always prefer to speak with the authorities rather than subject ourselves to the authoritarian repression,” it says.